Host of Curiosity Quest, Joel Greene and the crew travel north to the beautiful state of Alaska and get a front row seat to a stream packed with more salmon than you can imagine. 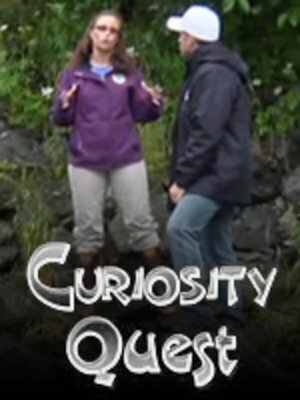 Greene learns from an Alaska Fish and Wildlife specialist why their creeks are bursting with salmon and why they travel thousands of miles to re-visit the place they were born. Afterwards, they travel to a salmon hatchery to learn about the role it plays in preserving the few species of salmon and protect the newly hatched salmon eggs. On this DVD, you will learn the 5 species of salmon and a very simple way to remember them using only one hand.